BANGALORE: An unidentified gunman fired at the Art of Living founder Sri Sri Ravi Shankar’s convoy here Sunday evening, injuring one of the devotees. 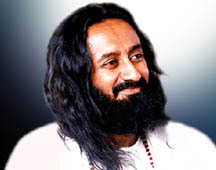 According to a press statement issued by the Art of Living International Centre, the unidentified gunman opened fire as Sri Sri Ravi Shankar left the venue after delivering a discourse at his ashram. “While leaving from public satsang (discourse) this evening in Bangalore, an unidentified gunman shot at Sri Sri’s convoy. It hit one the devotee’s thigh, causing a minor injury,” the statement said. Charu, an ashram devotee, told IANS that the firing incident happened around 6 p.m. “The bullet brushed past one of the devotees,” she said. She said that police were investigating.